2018 - Book on the phases of capitalist development and the distribution of income using Marx's model of the falling tendency of the rate of profit. First edition, 1986; second edition, e-book only, Kindle format. Atualized in the apendix with the paper, "Growth and distribution: a revised classical model". 2009. Why some middle income countries catch up while others do not. Behind new developmentalism this book drafts a structuralist development macroeconomics in which the exchange rate plays a strategic role. 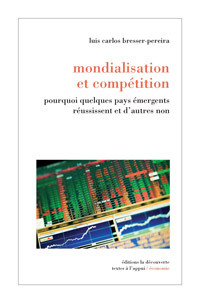 (Book: Elsevier). Este capítulo 22 da 3a. edição de A Construção Política do Brasil está sendo disponibilizado para que, aqueles que tem a 1a ou 2a. edição, possam ver as principais modificações introduzidas. 2010. Why some middle income countries catch up while others do not. 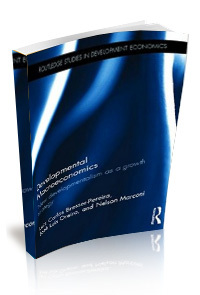 Behind new developmentalism this book drafts a structuralist development macroeconomics in which the exchange rate plays a strategic role. (Book: Cambridge University Press). 2010. Why some middle income countries catch up while others do not. 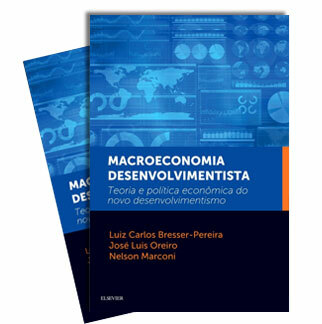 Behind new developmentalism this book drafts a structuralist development macroeconomics in which the exchange rate plays a strategic role. (Book: Siglo XXI). 2004.The book opens with a trenchant examination of the historical stages that led to the modern state. 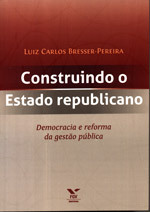 In order to understand such stages, the author develops a theory of republican rights linked closely to other rights such as civil, political, and social rights. 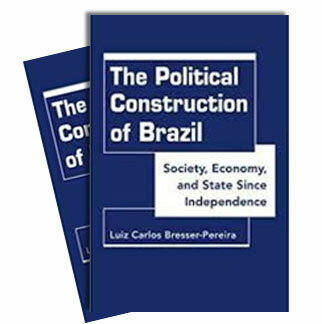 Bresser-Pereira goes on to formulate a normative model of public management reform, which incorporates the roles of the state, forms of ownership, types of public administration, and organization institutions. 2003. With Fernando C. Prestes Motta. Second edition of a 1980 book on administration theory and theory of organizations. 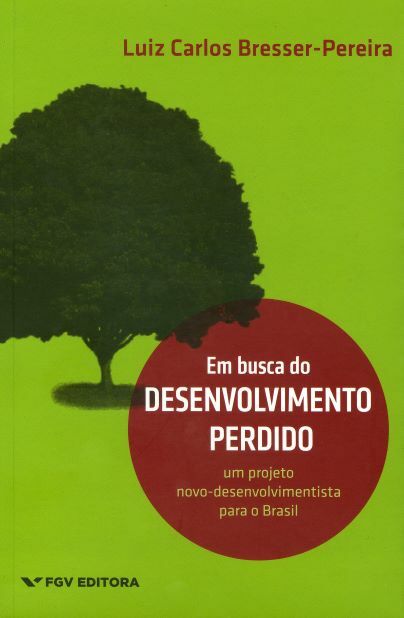 ( Book: Editora Thomson). 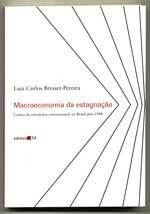 1998 A theory for public management reform, and a systematic account of the 1995-98 Brazilian Public Management Reform. Spanish version available (book: Editora 34). 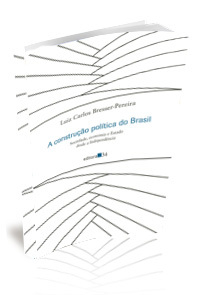 1999 A theory for public management reform, and a systematic account of the 1995-98 Brazilian Public Management Reform. 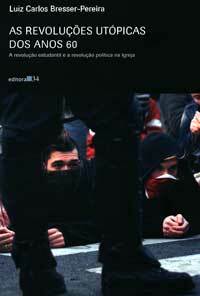 Portuguese version available. (Buenos Aires: Editora Eudeba, 1999). 1993. With Adam Przeworski and José María Maravall. A social democratic approach and also a crisis of the state approach to economic reforms in new democracies. Portuguese and Spanish versions available. (Book: Cambridge University Press). 1972. Two essays on the 1960s' utopic revolutions: the 1968 student revolution, and the poltical revolution of the Catholic Church, particularly in Latin America. 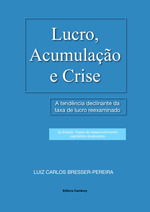 A third edition with a preface was published by Editora 34 in 2006. 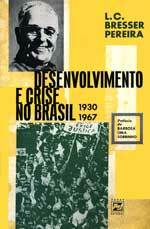 (Book: Editora Vozes). Reúne artigos publicados nos jornais, principalmente na Folha de S. Paulo, nesse período.